My 9-year old is a bloodhound. Not literally, of course. But he could challenge the most scent-sensitive canine to a smell-off any day of the week. Thankfully, my son is tuned into food aromas rather than pet odors. There has to be a Food Network channel reality show in there somewhere. Sure enough, it was the day that I whipped up these quesadillas. 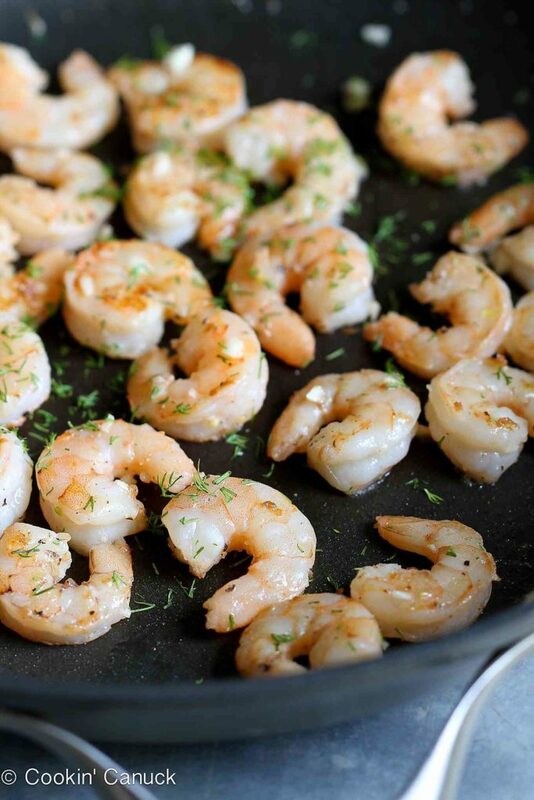 The shrimp was seared with garlic and brightened with lemon juice and dill. Then I tucked it all inside of a whole wheat tortilla, along with fresh spinach and feta cheese. 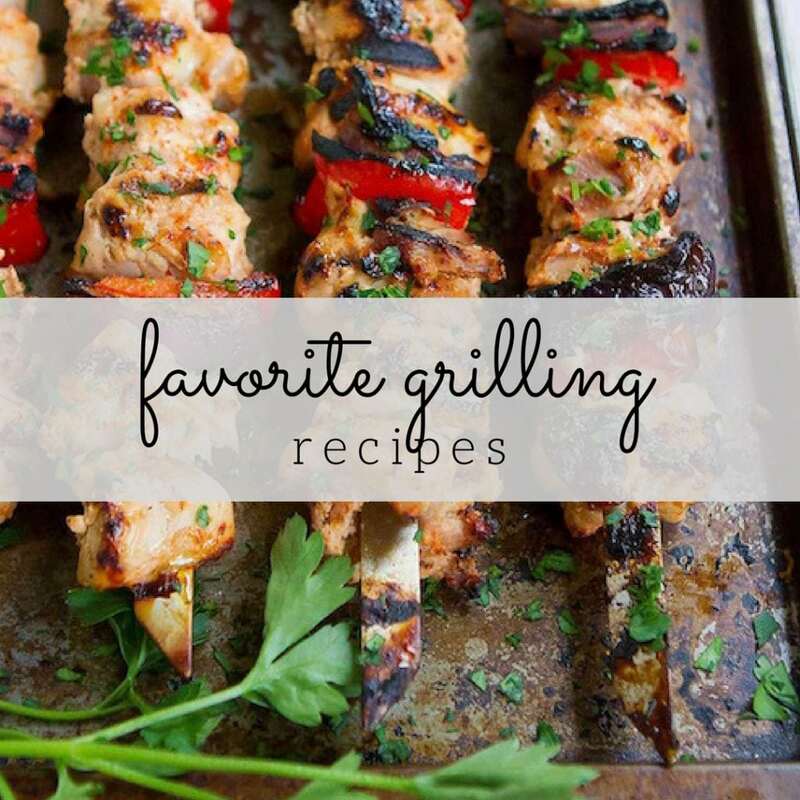 These are perfect for a light lunch or dinner, or would work as an appetizer or snack when serving a crowd. In a medium bowl, toss the shrimp with the pepper. Heat the canola oil in a large nonstick skillet set over medium-high heat. Add the shrimp and cook until just cooked through, 1 to 1½ minutes per side. Add the garlic and cook for 15 seconds. 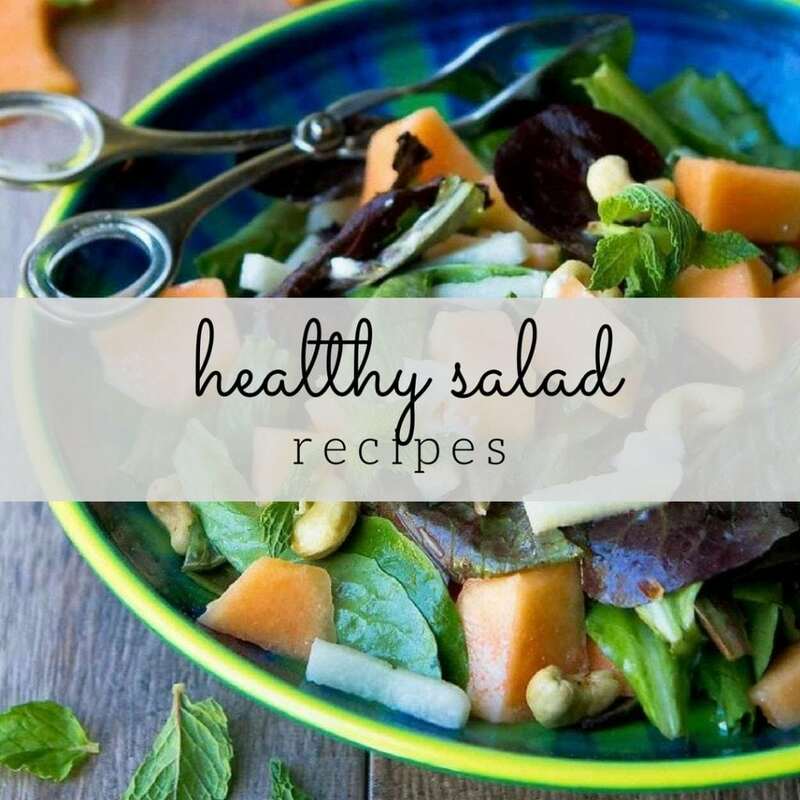 Remove from heat and sprinkle with lemon juice and dill. Heat a medium nonstick skillet over medium heat. 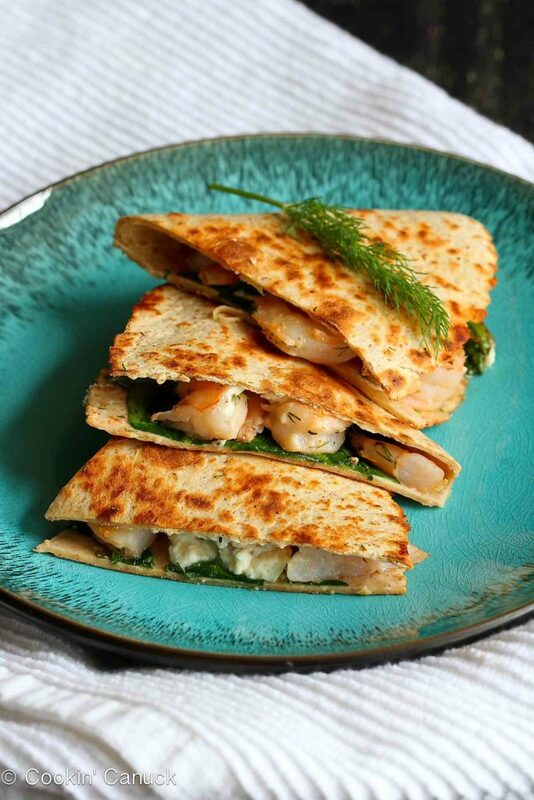 Place one tortilla in pan and cover half with one-quarter of the shrimp, feta cheese, spinach and green onions. Fold the other half of the tortilla over the filling. Cook until the bottom of the tortilla is golden brown, flip and brown the other side. Fold the other half of the tortilla over the filling. Cook until the tortilla is golden brown, 1 to 2 minutes per side. Repeat with the remaining ingredients. Cut each quesadilla into thirds. Serve. When it comes to Mexican food I absolutely LOVE quesadillas. Loving this shrimp version. This sounds delicious. 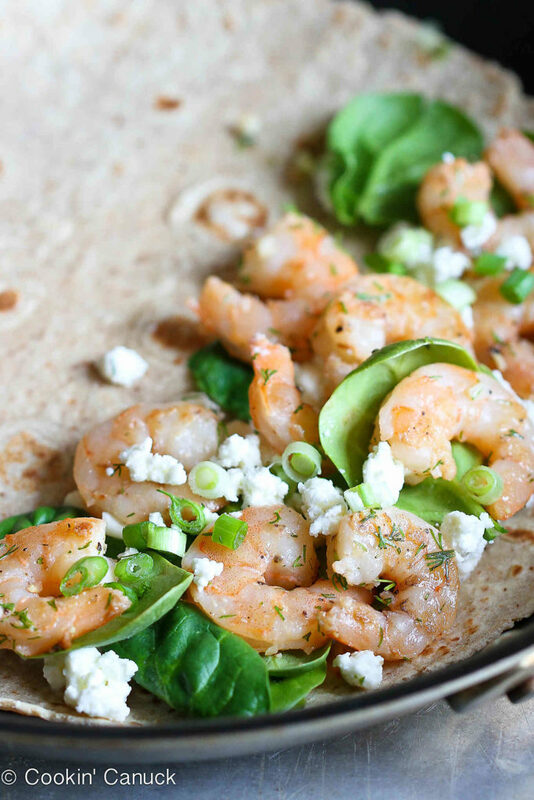 Feta and shrimp – yum! 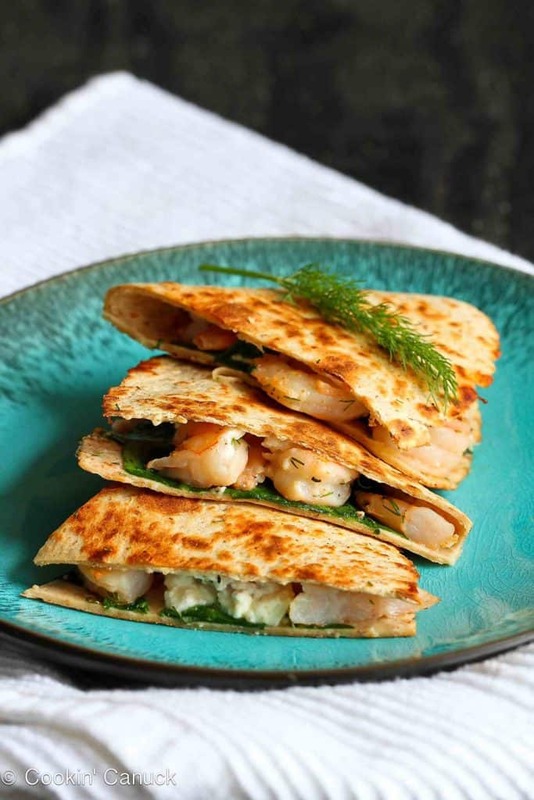 These quesadillas look so good, love the Greek flavors! These quesadillas look great, what a delicious combination! Your son sounds like a good eater. That looks delicious! Perfect for brunch with my girlfriends! Okay I am in confession mode. Until about a month ago I had never had a quesadilla. Now you might think I am not a Mexican food fan. I love Mexican food and eat it often. After I had my first one, I became a believer! This one is awesomely different. I live alone, so it great for a one person meal too. This was delicious! Made these for my very picky husband who is not a big fan of shrimp or any kind of dish that is not saucy, and he Loved it. I don’t like spinach nor did I have any fresh on hand so I substitued Arugala and it was awesome. 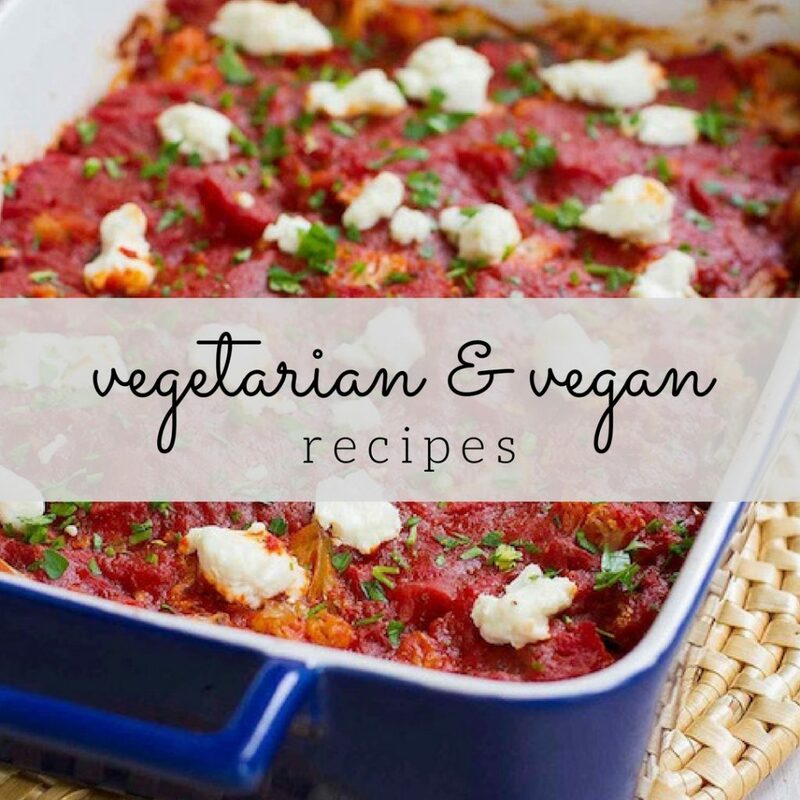 Thank you for an easy and delicious recipe.